Until scientists come up with a way to create time, it's up to you to manage what you have. 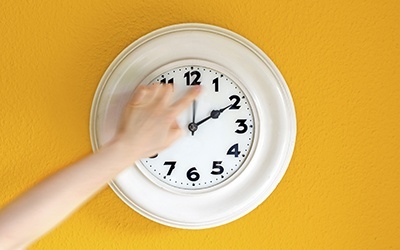 Here are some of our favorite time management tips to increase productivity and reduce stress. You'll be amazed at what a difference using even one or two of them can make! Turn Errands and Tasks Into "Appointments"
Many people consider a to-do list to be the core of successful time management, but in reality it doesn't go far enough. It's too easy to get sidetracked and let things slip until you're carrying entries over day after day. It's more effective to actually schedule these items just as you would with a doctor appointment. For instance, you might block out 9 a.m. - 11 a.m. for housekeeping and 2 p.m. - 3:30 p.m. for grocery shopping. You'll be more likely to complete each task once you've committed the time, and it's easier to make changes on the fly if necessary. Time-management guru Stephen R. Covey popularized the priority matrix that categorizes tasks into one of four quadrants based on importance and urgency. People generally find they spend the most time in the "urgent but not important" quadrant, which often includes demands from others. Use the matrix to discover where your time goes and start tipping the balance toward "important but not urgent" activities that improve quality of life for you and your family. Are you the go-to person for your circle of friends, the one who accepts every request that comes your way? Small wonder that your own projects remain unfinished at the end of the day. When you prioritize, it becomes easier to set boundaries based on what matters to you. It may help to occasionally "go dark" by turning your cell phone off so you're not tempted to weaken. "Multitasking" has become a commonly-used buzzword, but in reality it's counterproductive. When you try to accomplish several things at once, you're more likely to end up with none of them done. Concentrate on the task at hand. You'll finish more quickly and it will be done correctly. While you know that perfection is usually unattainable, that doesn't stop you from striving for it anyway. Software engineers operate on the "good enough" principle, which states people will use products that satisfy their needs even when there are superior systems available. Change your standards to "good enough" and you'll save time while maintaining acceptable quality. Have you discovered a sure-fire tip that helps you stay on track? Share it with us in the comments!